A project prospectus developed spring 1998, which developed into www.studyplace.org. The Study Place is a resource on the World-Wide Web nourishing engagements in depth with significant elements of the cultural tradition. Teachers College and Columbia University have both supported initial development of The Study Place. We now seek funding to expand it to cover a wide range of educational experience with a fullness that will enable scholars, amateurs, and students around the world to engage the pedagogical past in acting effectively to construct the pedagogical present. This prospectus explains our goals and invites support for them. Robbie McClintock, "Towards a Place for Study in a World of Instruction,' Teachers College Record. Vol. 73, No.2, December 1971, pp. 161-205. On-line version available at http://www.ilt.columbia.edu/ilt/papers/studyplace/title.html. In conception, The Study Place extends reflective, scribal traditions into the digital future. Well before computers became significant in education, Robert McClintock, Director of the Institute for Learning Technologies, articulated the importance of study for educational reform in a series of essays, in particular, "Towards a Place for Study in a World of Instruction" (1971).1 Since then, technical innovations have made digital technologies important tools of study and the Institute for Learning Technologies has worked to further this trend. Through ILT, Jeniffer Hogan has been developing Digital Dante, the initial example of The Study Place. A wide variety of people contribute dynamically to this site—leading Dante scholars, translators, designers, students of diverse ages, and teachers working at many levels. It has features that will engage people of diverse interests and sophistications, from comparing translations and studying bilingual presentations to "Play Dante,"—a simulation game in which one assigns contemporary figures, according to the player's interpretation of Dante's moral psychology, to various rungs of hell, purgatory, or paradise. Digital Dante initiates the fundamental aim that we seek to achieve through The Study Place -to discover how to advance ideals of liberal education in the open world of digital communication. In this prospectus, we begin by exploring possible historical effects that the new media may have on liberal education. We think it is possible to anticipate significant ways in which information technologies are likely to effect educational practice. Such views need to be subject on the one hand to continuous revision, for they are necessarily tentative. But on the other, they can serve as a basis for efforts to adapt current institutions to emerging possibilities. Consequently, in order to shape the outcome of current transitions in communications media, it is important to start with some hypotheses about their possible implications for education. We will concentrate on three of these and then turn to the specific program of work that we propose as a contribution to enhancing these effects in culturally desirable ways. I have recently examined the telos of the Internet and its possible implications for educational practice more fully in 'Educating for the 21st Century,' an address to the conference on the Internet and Politics sponsored by the Academy for the Third Millennium, February 21, 1997. The text is available at http://www.ilt.columbia.edu/mcclintock/akademie3000/akademie.html. To develop a practice of historical pedagogy as a form of participatory engagement in shaping a public life worthy of free persons. Accentuating these outcomes will enable digital networks to become the locus for significant renewal of liberal education, deepening its meaning and broadening its reach in 21st century life. In the following paragraphs, we examine each of these shifts briefly and then describe our agenda of work for The Study Place. We are not assigning a rigorous cause and effect power to the new media. Cultural change is ecological, not mechanical. The new media are altering the balance in feasibility and sway among many different forms of human activity. By change, we mean alterations in the relative predominance of various concerns and commitments. The ground cover of daily life changes incrementally over time as once awkward activities become easy and some that were familiar become difficult. Some flourish; others struggle; thus the culture changes. By understanding ecological shifts, however, we can do more than observe how culture changes. We can act creatively in the husbandry of human potentiality. In the following paragraphs we will suggest that owing to changes in the dominant means of communication, new patterns of culture and human interaction are becoming feasible within our civilization. Such suggestions lead to opportunities for action and implementation. We describe and juxtapose alternatives, not to say that one is destined to fade and another to emerge triumphant, but to open horizons of possibility and to indicate that with new conditions comes the opportunity for choices and commitments that previously people could not make. Furthermore, these choices are not simple if-then propositions. They are many-sided processes embedded in complicated systems of interaction. Culturally significant choices will emerge as many people do many different things, each with a distinctive character and purpose, and from the aggregate of spontaneous efforts, historic innovations arise. Let us begin. Consider the status of amateur scholarship, vis-a-vis professional. We contrast here to ideal types in order to grasp a significant problem. One type, the professional, is reasonably familiar, for its real-world representatives have found a most favorable habitat in the twentieth-century university. The amateur, as a type, is not se easily perceived, as few powerful examples are ready at hand. The basic contrast goes back to the tension between Socrates and the sophists, and it has to do with differing commitments about what are properly means and what are properly ends with respect to thought in action. The root meaning of amateur shares a root meaning with philosopher—in both cases the basic commitment of intellectual purpose is a commitment of love, one not conditioned by the pursuit of extrinsic goods. Note that the modem system of academic tenure has cultural value insofar as it enables a class of professional scholars to remain amateurs at heart, pursuing questions out of interest and conviction, not to curry favor from one or another patron. Despite tenure, the professorate has not remained sufficiently amateur. At the same time, the amateur, in the form of the "well-educated, generally interested layperson," has slipped out of the realm of creative scholarship, becoming instead the audience for industrious popularizers. Is a husbandry of human potentiality feasible in which the philosophical spirit, the amateur commitment, suffuses the social realm of thought in action as that encompasses all its participants from its grand masters to its hesitant novices? In an era of print, amateur scholarship struggled, while the professional flourished. Traditionally, describing scholarship as amateur, designating work performed for the love of it, has carried a pejorative connotation, indicating dilettantish achievements by mediocre talents, who professionals will usually outclass. Why were amateur scholars regularly second-rate? To some degree, they often lacked the time to master a matter fully. But many amateurs enjoyed wealth and had sufficient leisure. Why also would they be mediocre? The probable answer: relative to professional peers, amateurs had access to limited tools, incomplete collections, and inadequate training. Insofar as digital networks approach the telos of making all cultural resources available to any person at any place at any time, these relative advantages possessed by professionals will tend to contract. Both professional and amateur alike will have access to the same tools, the same collections, and even the same opportunities for training, for all of it will have a distributed presence, available to any person at any time and at any place. Furthermore, with the workweek continuing to shorten, all sorts of people have substantial time, should they so choose, for the reflective life. New networks greatly open access to scholarship, and with enhanced access added to democratized leisure, general affluence, and universal education, patterns of participation in scholarship may change significantly, reversing the traditional presumption that professional scholars will excel relative to amateurs. Driven by their publish-or-perish syndrome, professionals have long tended to over-produce trivia of interest only to a small group of specialists. In contrast, amateurs work from an intrinsic commitment to their subject. Other things being equal, greater scope and significance may characterize work done primarily for love, not money. Shifts in feasibility and effectiveness may reinvigorate amateur scholarship and enable it to grow robustly, fulfilling its potentialities for excellence. Should they develop, these shifts would eventually alter the controlling norms of creative scholarship. Likewise, should they develop, these shifts, and other attendant changes, would have significant implications for the prospects for liberal education, a matter that we will examine below. In seems certain at this point that digital networks are opening scholarship to global patterns of participation. Distance ceases to have much meaning on-line and the interaction between people who share interests links persons all around the world. And it is not only physical distance that ceases to have much meaning—social and academic distance disappears as well. Digital networks both invite interaction by individuals of all sorts and simultaneously make it difficult to enforce exclusive entrance requirements to the community of professional peers. Owing to the open character of on-line media, it is quite possible that in the emerging ecology of scholarship, digital networks will favor amateur excellence over professional. 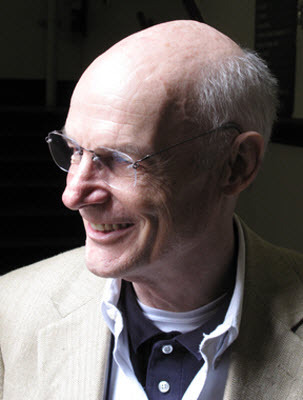 See Robbie McClintock, "Humane Learning, Reflections on Its Prospects" for a fuller development of distinctions about the forms of scholarship introduced here. Available at http://www.ilt.columbia.edu/mcclintock/humane/. Professionals validate their excellence within relatively narrow, closed communities. The professional scholar seeks preeminence in the view of professional peers. He achieves such preeminence by publishing work that peers recognize as having definitive authority. This drive to definitive authority makes the humanities unnecessarily esoteric for general audiences and renders individual achievements brittle, ever subject to the unexpected challenge to their authoritative stature.4 The amateur can be more generous, patient, tolerant in her pursuit of excellence. The amateur wants to help others find meaning and value in work, not to achieve authority by means of it, but to find merit and beauty in and through it. Collaborative activities on the World-Wide Web suit amateur drives perfectly, for scholarship on the Web is never fixed, never finished; and most importantly it is always open to all. The Study Place will be an open community of interaction, one without entrance requirements, in which people of diverse interests and capacities join together to pursue their common concerns. In developing The Study Place, we seek to abet an ecological shift in the norms controlling scholarship on the Internet. The Study Place will provide amateurs, at all levels of sophistication, with opportunities to join easily together to study cultural experience, motivated by intrinsic interests and their devotion to cultural works and the human issues they illuminate. Just as amateurs have often internalized the norms of professionals, so professionals can, and should, internalize the norms of amateurs. All can share, collaborate, and join together in the bustling forum of digital media, where every manner of person intersects around the common purpose of making the work meaningful in the lives of each and all. On-line communication changes the dynamics of intellectual exchange, blurring distinctions of academic status and putting the pursuit of shared purposes to the fore. Where will these participants, these amateur scholars, come from? To develop our concept of The Study Place further, let us look briefly at another revaluation towards which the Internet may conduce. We expect The Study Place to develop a substantial role in the everyday experience of many diverse people. This role will prove feasible to the degree that people choose to devote substantial energy to its activities over a sustained time. It is a rare occurrence, however, to Cultural change is ecological because it involves the relative displacement of one form of activity by another. The Study Place must compete for attention, and it will do so within the emerging competition between interactive and broadcast media. In the cultural ecology of digital media, we think the dominance of mass entertainments will begin to contract and involvement in cultural engagement will start to increase. Should this shift occur, it would be an important step in adapting the situation of liberal education to the possibilities of distributed networking. Consider the prospects. Currently education and scholarship exist largely submerged in an encompassing civilization of entertainments. The couch potato predominates and claims a portion of the lives of nearly all of us. Why not? The given communications environment conduces effectively to this form of life—the choices are at once limited and captivating. This structure of choice is neither permanent nor unchanging. With digital communications rapidly emerging, putting great control in the hands of end users, the choices open to audiences become unlimited, and given the variety, people are less likely to find a few options effectively captivating. Consequently, the emerging environment may prove to be an adverse environment for mass entertainments. Mass media supported primarily by the sale of advertising require large, habitual audiences that will assemble with saleable predictability. With broadcast entertainments, creativity succeeds by commanding recurrent attention from people who at any time have highly constrained choices. Every Thursday at 9:00 p.m. the top show airs and recurrently, week to week, a substantial share of the total audience of television viewers attends to it and to its commercial sponsors. Should the hold on these audiences weaken a spiral effect can take hold: returns to advertisers will decline, pulling production budgets downward, leading to a further weakening in the hold on audiences. Thus not long ago the great general circulation weeklies disappeared as television claimed the attention of an increasing share of the general public, and thus too may mass entertainment significantly contract as interactive media claims the attention of a growing part of its audience. New media will function in ways significantly different from the old. Getting vast audiences to devote recurrent attention to something through interactive networks is likely to prove difficult. With the new, the telos of making all cultural resources available to any person at any place at any time makes it very difficult to command the recurrent attention of those seeking amusement, for their choices are no longer constrained to a few, well-publicized options. Recurrent attention has few educative consequences. People come back week after week to the similar formulas, similar characters, and similar situations, amused but unchanged. This static repetition is what results from the way broadcast media entice people to give a passing attention that simply recurs from week to week. With people who have highly unconstrained choices, thanks to interactive media, creativity will succeed better by commanding, not recurrent attention, but sustained attention. Like recurrent attention, sustained attention may persist through many intervals but with more cumulative results. With sustained attention, activity and reflection build across intervals and the results can be highly educative as the person's skill and understanding grow from session to session. Such a shift from recurrent attention to sustained attention can therefore have significant educational consequences. To be sure, not all consequences of sustained attention will be educational—members of diverse cults prove able to sustain involvement for prolonged periods caught in self-reinforcing misconceptions. But for the most part, sustained attention opens many educative opportunities. Recurrent attention catches people in a static state over and over again, leaving them amused but unchanged. In contrast, sustained attention is something that a person preserves while going through changes. In fact, someone will most likely sustain attention for something insofar as it provides her resources useful as she passes through significant changes. Let us call creations that sustain attention in this way, engagements, contrasting engagements with entertainments. Engagements are to interactive media what entertainments are to broadcast. With that, we can advance a key proposition: as digital technologies displace the mass media in the ecology of communication, the encompassing civilization of recurring entertainments will give way to one of sustaining engagements. The task the follows: we must work to make the available sustaining engagements as deeply and fully educative as possible. As sustaining engagements become significant in popular culture, it will help move the liberal arts out of the inward-looking campus surroundings into the realities of daily life without those arts giving up their fullness, depth, and meaning. The liberal arts, controlled by amateur norms in the best sense of the word, can become broader, more popular arts. This will not come about through greater popularization, watering them down for presentation through mass media. Rather, it will come about through a shift in popular taste, from entertainment to engagement, a shift abetted by the new media. We seek to design The Study Place, therefore, as a place enabling amateur engagements with significant cultural experience. Here people will study a matter because they feel a love and attraction for it. They will do so with real engagement, a sustained attention through which their efforts can become deeply, personally transformative. See Robbie McClintock, 'On the Liberality o[ the Liberal Arts,' Teachers College Record. Vol. 72, No.3, February 1971, pp. 405-416. Available at http://www.ilt.columbia.edu/mcclintock /liberality/. Insofar as people engage intellectual traditions for the love of it, devoting sustained attention to significant matters because they feel deeply attracted to them, they engage in an education that can be authentically liberal. We come here to the third shift supported by digital networks that we seek to accentuate in developing The Study Place. We seek to nurture the liberality of liberal education. Through the nineteenth and twentieth centuries, prevailing conceptions of education have become deeply instrumental, as distinct from liberal, so that institutions often present even the liberal arts in a highly instrumental way. If digital networks are genuinely hospitable to liberal education, it will not simply be that people elect to study topics usually associated with the liberal arts. Rather they will participate in educational work in ways that are intrinsically liberal, in a manner that expresses their autonomy—that is "liberal," worthy of free persons. See Robbie McClintock, 'The Imperative of Judgment,' for a discussion of the way this question pervades the construction of human culture. Available at http://www.ilt.columbia.edu/mcclintock /judgment/. We are here reasserting the original Aristotelian distinction between the liberal arts and the banausic, or instrumental, skills. Some arts were properly called liberal because they were worthy of study by autonomous, self-governing, free persons, and they were worthy of study by free persons because they helped them address the fundamental question—being autonomous, how should we live?6 Now historically, the world around, the practice of education has become fundamentally illiberal insofar as it has been structured by rationales of compulsory schooling. The first duty of the person, understood as the subject of the state, is to undergo mandatory schooling roughly to the age of majority. Being a subject, what skills need I have? At the same time, as part of the same process, the study of education itself has become thoroughly instrumental. Where education is compulsory and instrumental, a process of imparting to people skills and ideas that others deem essential for them, psychology becomes the basis for efforts to make pedagogy more effective. The controlling question that educators must address is not the liberal one—How should we live? Rather it is the instrumental one—How can we cause them to master the skills and information the state requires them to learn? Long before the availability of wide-area networked interactive media, I explored the possibilities of substitution universal, voluntary education for compulsory schooling in Robbie McClintock, 'Universal Voluntary Study." The Center Magazine. Vol. 6, No.1, January/February 1973, pp. 24-30. Available at http://www.ilt.columbia.edu/mcclintock /universal/. Systems of compulsory schooling will be difficult to maintain in an extensively networked communications environment, for control over student choices will perforce greatly weaken. Causing them to learn a narrow set of mandated results will become far more difficult via open networks than it was when schooling occurred in closed classrooms. Compulsory schooling has so far proven to be an impotent means of affording everyone an effective education. Other means may be more effectual. Advanced information technologies may permit a pattern of universal, voluntary education to displace the world-wide system of compulsory schooling.7 Educational opportunities that are truly ubiquitous—that is, the condition of all cultural resources being available to any person at any time at any place—may distribute educational attainments very broadly. As a result, voluntary education would be no less universal on its ceasing to be compulsory, but the motivation for engaging in it would change significantly. Even when students opted to pursue specific, instrumental skills, they would be responding to the basic liberal question—How should we live?—by voluntarily, autonomously putting their practical needs foremost. Why Education Can No Longer Be Liberal." Phi Delta Kappan, Vol. 60, No. 9, May 1979, pp. 636-640. Available at http:// www.ilt.columbia.edu/mcclintock/dynamics/. Education is a civic process by which people shape their ideas and capacities, ranging from the mundane to the transcendental. Through it they join together to determine their values, to interpret meanings, to generate explanations, to share stories. They interact, inspire one another, argue, persuade, agree or disagree as the case may be. Real education takes place in public spaces; it is a civic process. Through education, people developed shared worlds of common action. They engage together in the definition of their culture and their polity. Education is one of the great arenas of autonomous action in which each person participates and as they do so consciously, intentionally, they exercise their autonomy and freedom and they create a liberal education. This public process of education far exceeds the scope of The Study Place, but we intend to develop The Study Place as a resource within and for the public process of education. Consider our plans and the ways in which these may help strengthen practices of liberal education, a sense of engagement in the work of culture, and an arena of scholarship open to interested amateurs the world around. In developing The Study Place, we aim to circumscribe and counterbalance instrumental tendencies in education. In the emerging world of digital communications, efforts to make education universal will Places become more fundamentally voluntaristic, an expression of each person's autonomous intentionality. We propose, in essence, an effort to resuscitate the discourse of liberal education in a distributed, networked community where people participate, because they want to, in sustained engagements with cultural experience, engagements that help them pose and answer well the question -being autonomous, how should we live? In developing The Study Place, we seek to create on-line resources sustaining amateur engagements for people who have a genuine devotion to cultural experience. The spaces for these amateur engagements will comprise resources designed to sustain a hermeneutical pedagogy of interpretation concerning a significant element of cultural experience. At the center, participants in the space find key sources, with materials pertaining to relevant persons, places, events, and works arrayed to provide an historical context and insight into the human dilemmas the sources raise. These spaces are structured to allow users to move about easily within them, and more importantly, they permit interactive communication among users, encouraging them to participate in the shared work of interpretation, construction, and development. Such work builds into a public commitment about the ways in which participants view their culture and define their purposes and actions. In scope, The Study Place could encompass a boundless range of topics. In initial practice, we will concentrate on a few central dilemmas of human experience at points in cultural history where an understanding of those dilemmas advanced and deepened significantly. It is this relationship between the problem of potential significance to any person, a set of sources rich in meaning for that problem, and a field of contextualization that enables the present-day interpreter to construct a fuller and fuller reflective experience of the problem that proves powerfully educative. We do not think this pedagogy is new, something that comes into being with the spread of digital technologies. Quite the contrary. It is a pedagogy that has long characterized liberal education at its best. We seek to explore the degree to which the emerging technologies can facilitate participation in this pedagogy, can broaden access to it, and extend engagement with it across the span of life. We plan eight foci of activity within The Study Place over the next few years. Broadly speaking each centers on an important issue in cultural experience, an issue that has considerable independence of time and place. At the same time each has associated with it challenging bodies of creative work that were the achievements of particular people living in specific historical situations and working under real conditions that constrained their lives in historical time. We seek to create communities for the study of these achievements, the appreciation, interpretation, and celebration of them. Let us give brief titles to these, indicate the human predicaments the cultural sources at the heart of each. Speech and Reason—The problem here is to discover that reasoned distinctions between truth and falsehood are possible in the flux of speech. Greek epic, drama, and philosophy from Homer through Aristotle are the key sources. The Direction of Desire—The problem here is to grasp the many forms that desire can take and to develop ways in which persons can define and sustain direction in life as each is motivated by a unique structure of desire. The medieval structure of virtues and vices, particularly as represented in Dante's Divine Comedy, are at the heart of the issue and Digital Dante the locus of work on it. Forms of Liberty—The problem here is to understand how polities maintain their integrity and quality of influence on their members in historical time and to create procedures by which polities of progressively larger scale (by measures of geography, demography, and wealth) can sustain their excellence in historical time. This component of The Study Place will present the literature of civic republicanism from Machiavelli through the Founding Fathers. The Power of Knowledge—The problem here is to define ways in which the advancement of knowledge serves the cause of human well-being and to determine how best to nurture those progressive possibilities, given the potentials and limitations of prevailing conditions, historical and social. The key sources will present the literature defining the scientific/technical enterprise from Bacon on. Progress and Corruption—The problem here is to understand the limits of progressive enlightenment and to develop strategies for moderating its negative consequences for the character of individuals and groups. The key sources will be the work of Rousseau, Goethe, Schiller, the English romantics, and on. The Work of Alienation-- The problem here is to clarify how the work of thought becomes actual in the lived experience of life, systematically transforming the world into a set of conditions and balances struck through the interplay of human intervention and natural conditions. The key sources will start with Hegel and run through the literature of the built environment and sustainable development. Community and Interpretation—The problem here is cope with the complexities of interpersonal interaction in a world in which divergent traditions and interests are progressively less and less buffered from each other, putting a premium on the ability to interpret human meanings despite differences of contextualization. The key sources will start with the Romantics and extend through Dilthey, Weber, and Habermas. The City as Educator-- The problem here is to come to terms with the fact that the daily surroundings of most people are now highly urbanized, whereas the ideas of what sorts of surroundings are good for the human spirit still put a premium of rural and village conditions. The key sources here are the great cities of the world and the ways they avail to people options for nurturing their potentialities. To develop The Study Place further, the Institute for Learning Technologies needs to fund the work of a small group of scholars and designers, supporting them with good equipment, production assistance, and institutional overhead.